I originally came into contact with these delicious little nuggets during the Market to Market Iowa run. Sara made a few different energy bites for us to snack on and these little guys won me over. 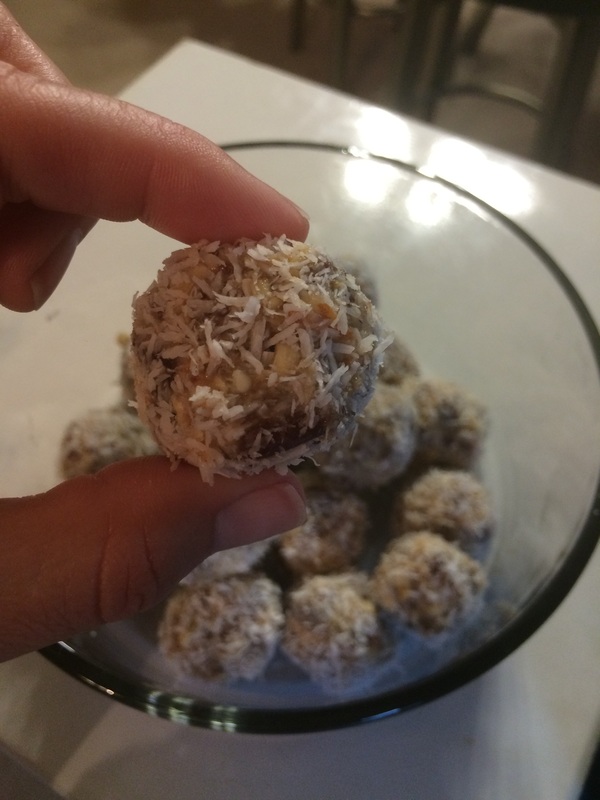 They are a nice switch-up from the traditional energy bites that I make with peanut butter, honey and oats. Lime and Coconut = Light, refreshing and super easy to make. And makes me want a vodka. I found this recipe on Spoonful of Flavor. The only change I made was I used regular limes, because I have no idea what makes a key lime different AND I am fairly confident you can’t find one in Nebraska. The recipe turned out just fine. 1. 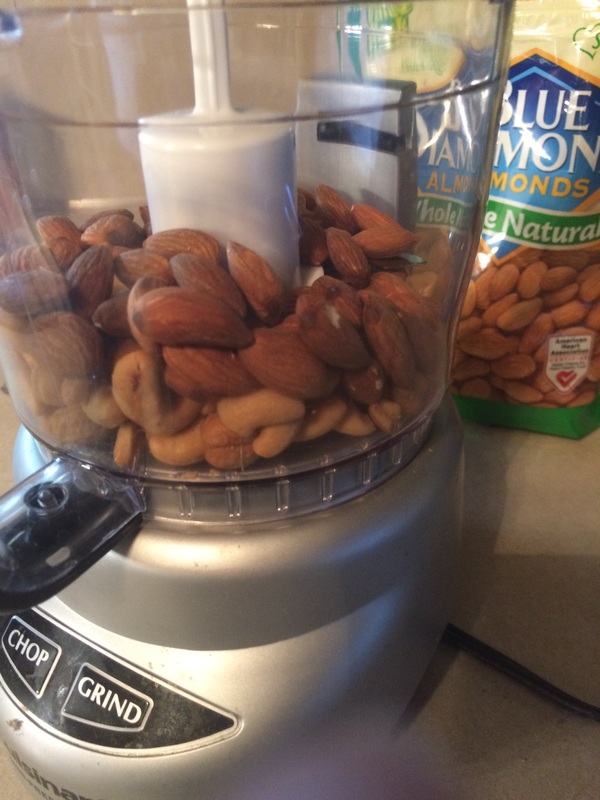 Add the almonds and cashews to the bowl of a food processor and pulse. 2. 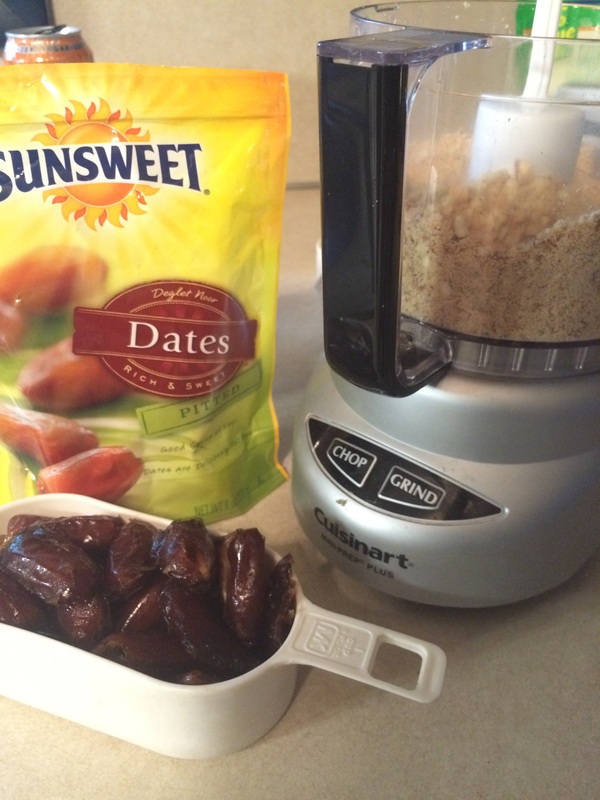 Add the dates and lime juice. Pulse until the dates are finely chopped and the mixture starts to clump. 3. Shape the mixture into 1 1/2 inch balls. 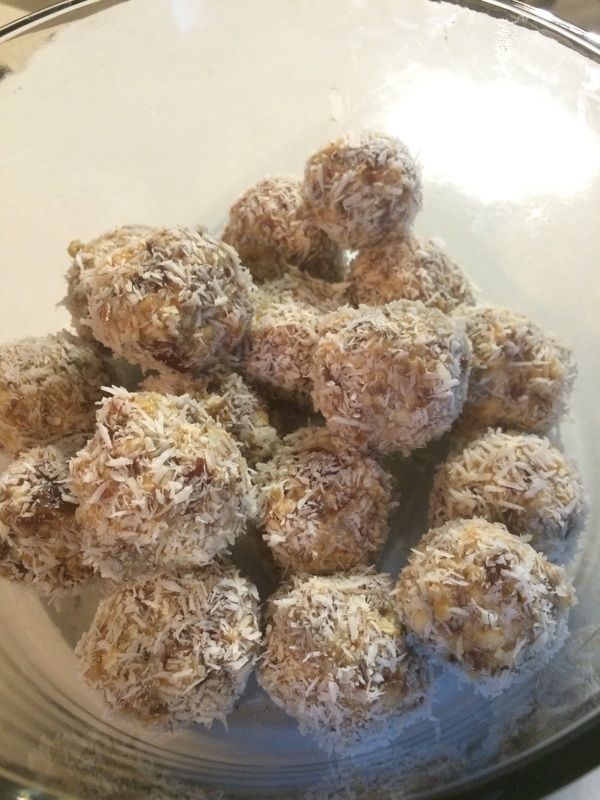 Roll in coconut and store in an airtight container in the refrigerator.